1. How long does it take to decrypt iTunes backup? The decryption speed is tightly related to many factors such as: the length and the complexity of the password you set, the PC performance and it's memory space, your iTunes memory space and the iOS version, etc. In order to speed up the process, it's recommended to use "Brute-Force with Mask Attack" type and offer accurate information to find your password. 2. Why it says “The backup file is corrupted, please select another backup”? This usually happens when you select an incomplete or wrong folder. 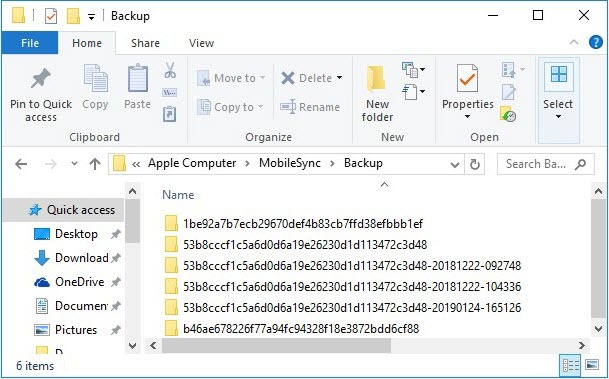 A correct backup folder should be named as combinations of lowercase letters and numbers, such as “53b8cccf1c5a6d0d6a19e26230d1d113472c3d48”. 3. Is there any limitation on number of backup files that can be unlocked after purchasing the full version? No. Once you’ve purchased iMyFone KeyGenius, you’re allowed to unlock unlimited backup files within the validity period of your license code. 4. What is dictionary file? The dictionary file contains a number of possible combinations of letters and figures. A dictionary of potential passwords is more accurately known as a wordlist. 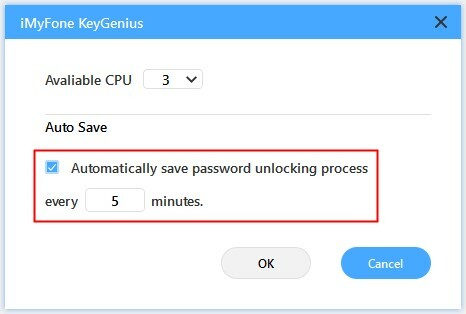 iMyFone KeyGenius will automatically try the passwords one by one at a pretty amazing speed. 5. 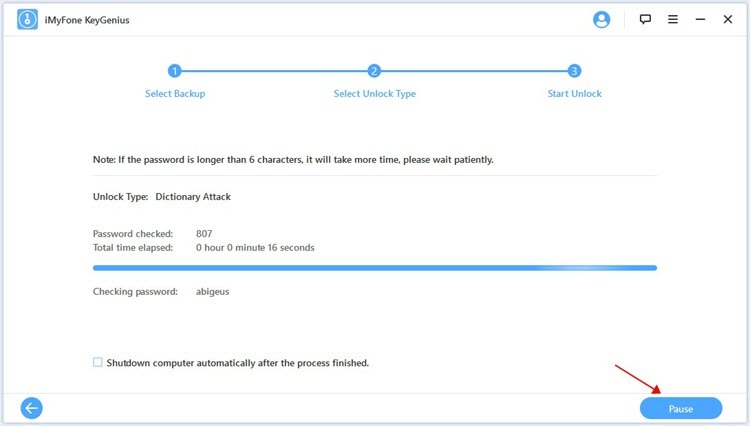 Will the backup decryption process cause damage to my backup? No. Differing from other iTunes backup unlock software, iMyFone KeyGenius is programmed with the latest & advanced technology, which will ensure 100% security for your backup data. 6. Why is my computer running slowly while unlocking backup? This software will use the CPU resources to improve the decryption speed to 40X faster than the average, which might slow down your computer. There are two additional options for you if you need your computer for other purposes. Option 1. Making a pause for the unlocking process by clicking on the Pause button, it will automatically save the unlocking progress. Option 2. Reducing the amount of CPU utilization. 7. Why should I remove backup encryption settings from my iPhone? When encrypt a backup, iTunes will store the password (encryption settings) to your iPhone. Then the backup you create will be encrypted automatically by default. Once you forgot the password, you will have to spend much time to find the password before restoring from the encrypted backup. 8. Will I lost my data after removing backup encryption settings? No, when you remove backup encryption settings using the “Remove without Password” option, you’ll need to set up your iPhone. 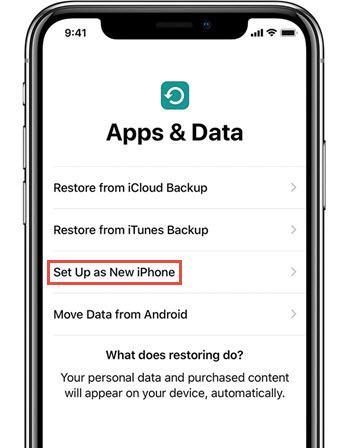 Please select "Set Up as New iPhone" in the "App & Data" interface to avoid losing data. 9. How to turn off Find My iPhone? Step 1. Open settings from your iPhone Home screen. Step 2. 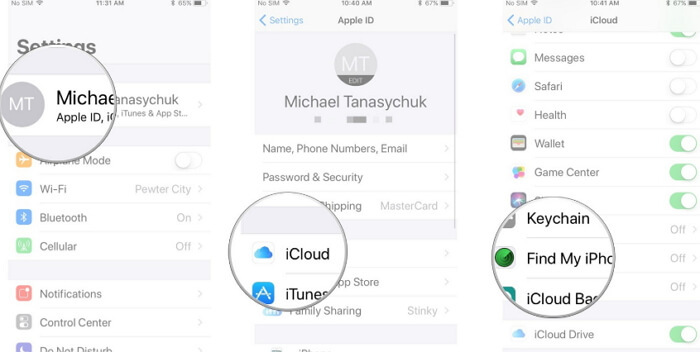 Navigate to “Your Name” >“iCloud” > “Find My iPhone”. Step 3. Click on the green SWITCH under Find My iPhone to turn it off. Step 4. Enter your Apple ID password to complete the process. 10. What does the Auto Save means? 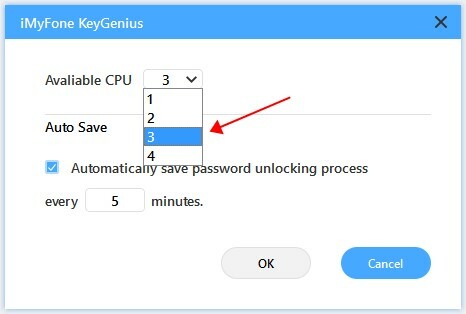 KeyGenius will automatically save the unlocking progress at intervals throughout iTunes backup unlocking in case you lost the whole progress after it is interrupted due to some unknown reasons. The time interval will be 5 minutes in default.